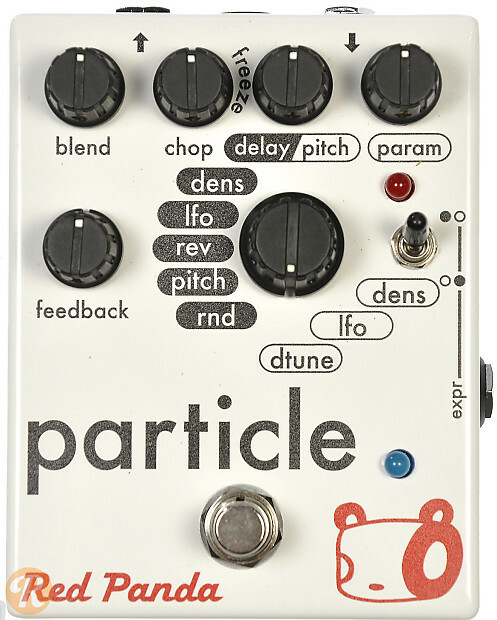 The Red Panda Particle is a granular delay pedal that is capable of pitch-shifting, delay, and modulation. It boasts three pitch-shifting modes (Density, LFO, and Detune) and five delay modes (Density, LFO, Reverse, Random Pitch, and Random). This pedal also includes controls for Blend, Feedback, Delay/Pitch, a Parameter knob that is unique to each mode, and Chop, which has an adjustable auto-freeze threshold.